If you are looking for the most aggressive dui attorneys Carrollwood has to offer, the office of Finenbloom, Haenel & Higgins is available to represent you. DUI is a serious charge in Florida. Officers are vicious in the arrest and enforcement of Dui laws. Arrests for dui are prosecuted to the fullest extent. Because of this you need an attorney with experience and skill to assist you in formulating a defense. At the law office of Finebloom, Haenel and Higgins, our Carollwood dui lawyers work with you to create a strategy that will result in the best possible outcome for your individual situation. There are several outcomes that can occur as the result of a DUI arrest. The most favorable, of course, is a finding of “not guilty” at trial. But it is also possible in some situations to receive a dismissal of all charges by the Court, or a reduced charge such as reckless driving from the state. In order to determine if one of these outcomes is possible for you, you need to speak with a dui lawyer in Carollwood who is familiar with the local agencies and procedures. If you have previous dui convictions, the penalties are increased. A second time dui can have a mandatory jail sentence of 10 days if the previous conviction was less than 5 years prior. If the prior was within five years your drivers license will be suspended for five years!! Because of these harsh penalties it is imperative that you hire a quality dui defense team immediately!! If you reside or have been arrested in the City of Carrollwood and are searching for a dui attorney to represent you, Finebloom, Haenel & Higgins provides premier dui defense. Our Carrollwood dui attorneys are unsurpassed in knowledge, skill and customer service. We have the most excellent dui lawyers Carrollwood has to offer. Call us now for your consultation. 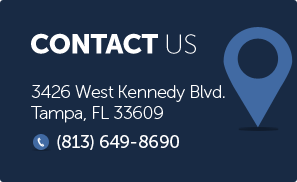 Our attorneys are available 24/7 to speak with you when you call 813-200-4412.